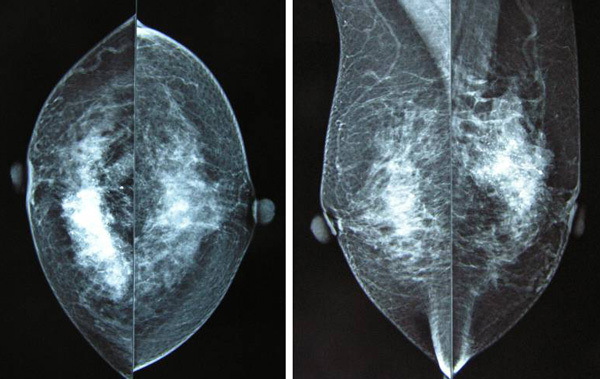 HomeCANCER STORY: Success & Hard TruthRemoving Breast Lump: How much does it cost? Removing Breast Lump: How much does it cost? CR (S-19) is a 73-year-old female from Indonesia. Sometime in June 2011, she felt a lump in her left breast. In August 2011, she came to a private hospital A in Penang for consultation. A breast specialist saw her, did an ultrasound and told her that she had a 3 cm mass in her breast. CR had to undergo a biopsy to determine if it was a cancer. CR was not agreeable to the biopsy, paid RM 60 for consultation and walked away. In the same afternoon, CR and her two daughters came to CA Care. We were unable to say much because the doctor did not give her anything apart from saying that she has a mass in her breast. On this visit, we could see they were rather desperate and were at a loss as to what to do next. We suggested that CR go and consult another doctor. We gave three names of surgeons in the private hospitals here. It is up to her to choose which one to go to. We also suggested some questions that she might want to ask the doctors. The next day, CR and her daughters came back to report what had happened the previous day. Apparently CR went to private hospital B and asked to see surgeon X but someone at the reception desk diverted her to surgeon Y of the hospital. Dr. Y did an ultrasound of her breasts. Lumps were found on both the left and right breasts. Subsequently, CR did a mammogram. There were pleomorphic calcifications in an area of 7 x 4 cm at the upper outer quadrant of her left breast suggestive of carcinoma. Dr. Y told CR that she had to undergo a biopsy. But CR said she would rather have the lump removed right away without having to undergo a biopsy first. Dr. Y replied: “Saya tidak mahu bunuh payudara anda (I don’t want to unnecessarily kill your breast).” The biopsy costs RM 2,800. If it is found to be cancerous, a mastectomy follows later, at an additional cost of RM 12,000. Dr. Y also asked CR if she has taken any herbs or supplements for her problem. Dr. Y said, “Don’t take all these. They are not effective.” Then Dr. Y asked CR, “Why do you have to come to Penang. You can go home and do the surgery in Indonesia.” For consultation CR paid RM 46.00 while the mammogram cost her RM 383.00. Obviously, CR and her daughters were not at all satisfied with this consultation. CR came back to CA Care again the next day. We suggested that they go to hospital C and consulted with Dr. Z. The next day they came back to tell us what had happened. They showed the USG and mammogram reports to Dr. Z. As expected Dr. Z said CR has to undergo a biopsy. The daughter suggested that her mother would rather have the breast removed without having to go through a biopsy first. Dr. Z laughed aloud! He was in a jovial mood in spite of having to see many other patients. Dr. Z said: “It is fine. I would have the lump removed totally. Then we will send it for testing immediately. We’ll wait for about half an hour. If it is cancerous I would remove the whole breast. If it is benign I would close it back without having to remove your breast.” Dr. Z also said it is good that CR has not done any biopsy before. Dr. Z said, “It is not good to poke here and there.” The total cost of the mastectomy is RM 6000. If only the lump is removed the cost is RM 2000. We asked CR, “When you first came here you appeared rather lost. After coming here three times, do you now know how to handle your problem?” The answer was, Yes! In fact, by looking at their faces we knew that they were pleased and were more confident. And costwise CR will have to decide to do the same kind of surgery that cost RM 14,800 or RM6,000! Dr. Donald Murphy in his book, Honest Medicine wrote, “Medical science is very subjective … which does not provide clear cut, black and white answers.” Unknown to many patients doctors differ in their opinions and approaches to doing things, so patients ended up being treated different by different doctors even though the disease is the same. In this case, CR would not have been a satisfied patient if she were to just do what the first two doctors asked her to do. She found the third doctor to be more suitable and sensible in approach. I always tell patients, “Go for a second or third opinion. Find a doctor who you think can provide you with the comfort and confidence to allow you to go through your ordeal. What is the point of going to the famous if he does not have time for you? You may end up talking only to his nurse most of the time while you pay his fees through your nose.” So if you are not happy with a doctor, go find another one to help you. Dr. William Untereker at Penn Presbyterian Medical Center said, “One of the biggest mistakes patients make is not getting a second opinion. People’s life goals are different and treatments are different. If there is any serious risk to a recommended treatment, the patient should seek a second opinion.” (http://penn-medicine-advances-in-medicine.blogspot.com/2011/02/it-pays-to-get-second-opinion.html).